All of our bikes are high quality and current year models, upgraded annually. Once selected, we will prepare your bike with a straight-forward bike fit and the correct pedals, as well as providing a repair kit, helmet and water bottles, so that you’re comfortable and ready to ride as soon as you desire, all at no extra cost! The new Bianchi Aria Disc. A real aero carbon race-frame with disc brakes. This amazing frame is complemented with the renewned Shimano Ultegra 11-speed groupset. 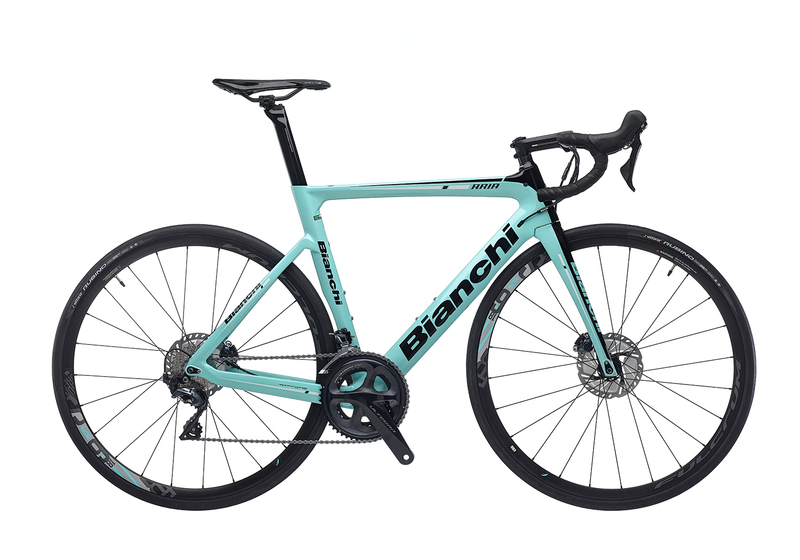 This bike is new in the Bianchi collection since 2018 and now also available with disc brakes. Our alternative, full carbon, Bianchi road racing bike. 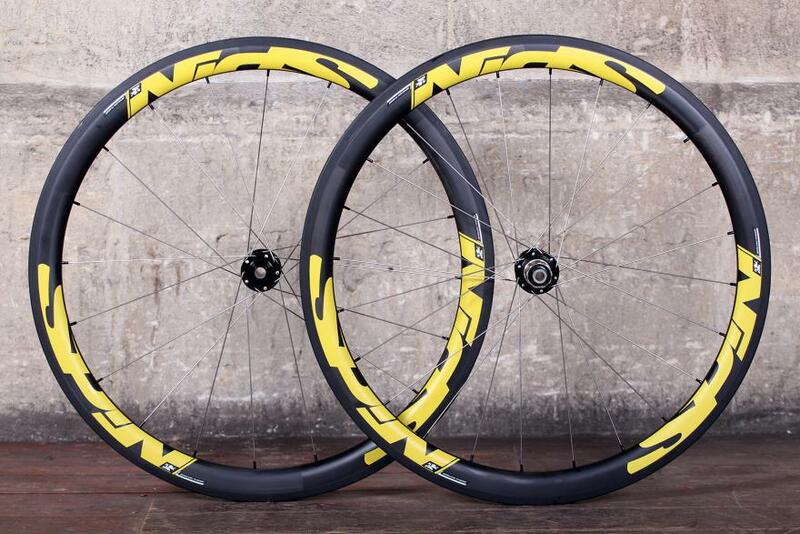 A comfortable performance frame with a geometry suitable for everyone, from beginner to competitive cyclist. Assembled with the ever reliable Shimano 105 11-speed groupset. 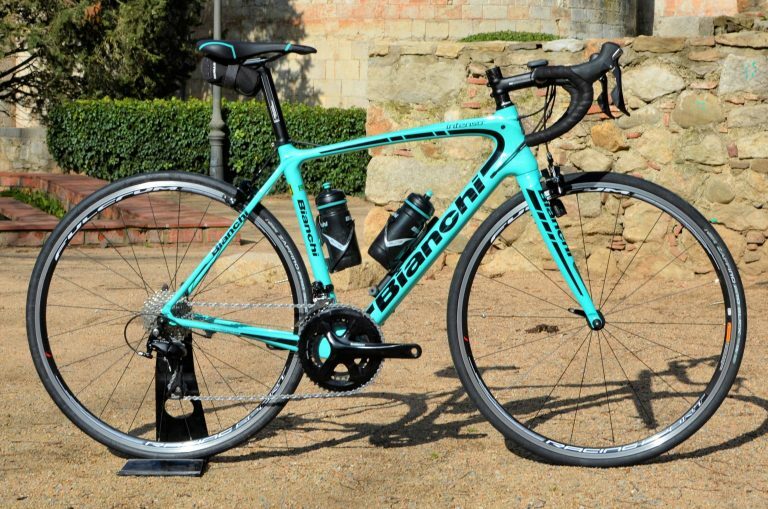 Bianchi is a leader in producing beautiful bikes and they have demonstrated this once again. 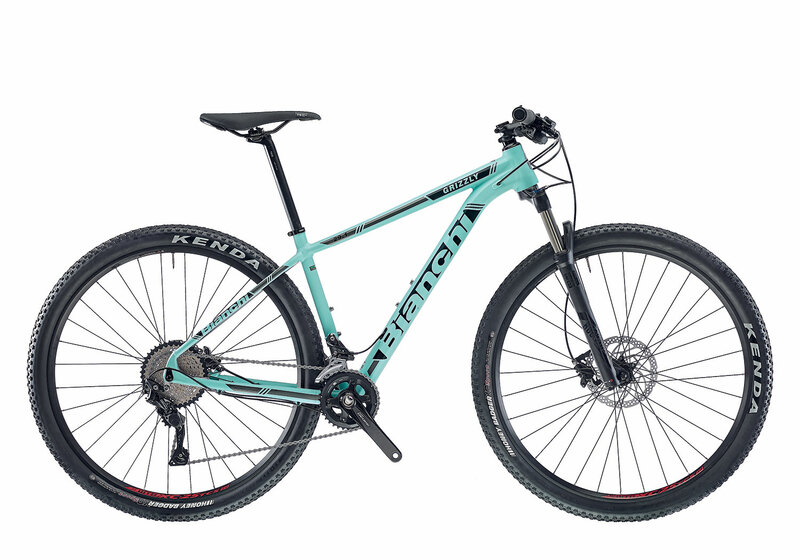 The Bianchi Grizzly mountain bikes we have here are equipped with Shimano XT and SLX components along with Rock Shox front suspension. The Grizzly is available with 29” wheels. The same great mountainbike you see above is also available for cycle touring/ trekking. 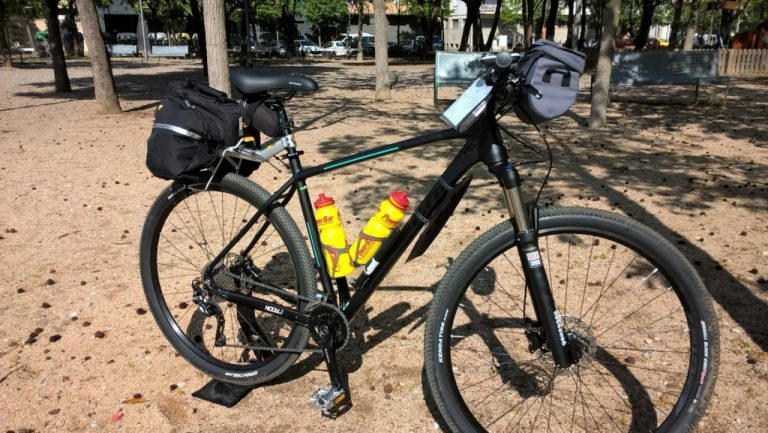 We will convert the bike for you by adding panniers, raising the handlebar and swapping over the tyres and saddle, to provide you with a comfortable ride on a great bike for those trekking routes. Bianchi’s high quality E-Bike. Not just for those off-road and mountain bike trails, but also available to be converted into a comfortable position for the easy rides. 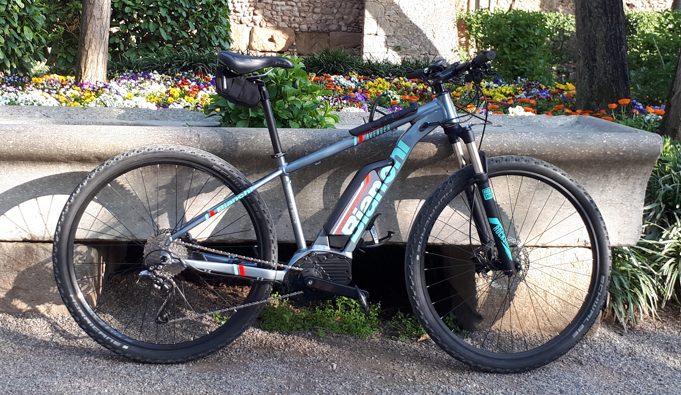 With the Bosch battery on this bike, you can continue for up to 150km in single ride. Bike Rent Girona is part of Campo Bicicleta. That company was formed six years ago by Dutch former professional cyclist Paul Kneppers and has grown into a thriving team of five people. Our other businesses websites for now only in Dutch available. Alongside Paul, we have Menno taking care of all of the online bookings and communication to organise your trip, Willem-Jan our professional bike mechanic, Annemiek organising guided rides and Celeste looking after the financial side of the business. 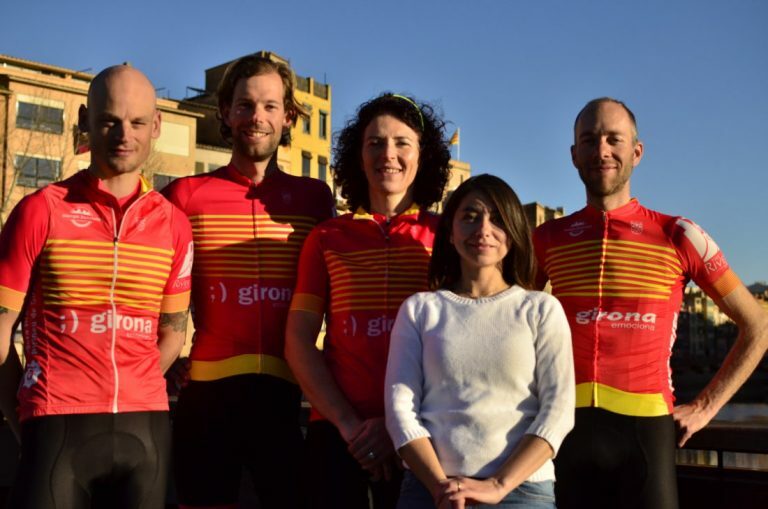 All of us are passionate cyclists and look forward to welcoming you to Girona. 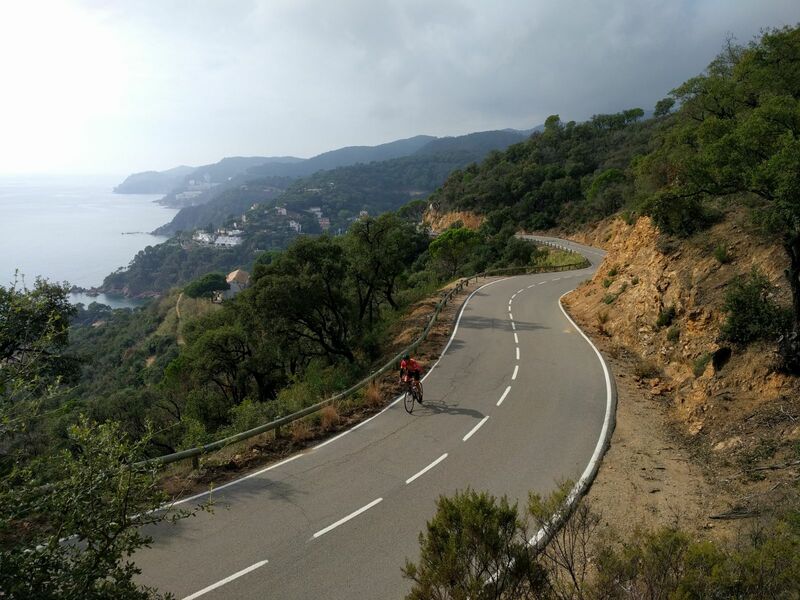 Do you want to get in touch with us about a complete cycling-holiday or trainings-stage? Don’t hesitate to contact us. Fill in our form and we will get back to you via email to confirm availability, prices and collection details.